At Comitz Law Firm, LLC, we understand that the wrongful death of a loved one due to the negligence of another person or corporation is among the most devastating of losses. No amount of money will bring back a loved one, but an experienced wrongful death lawyer will help guide you through the imposing legal and financial matters and ensure that you obtain the compensation you deserve from those at fault. Wilkes-Barre Personal Injury Attorney Jonathan S. Comitz has a record of success in prosecuting wrongful death cases throughout the Commonwealth of Pennsylvania, and the dedication and compassion to help you through this time of crisis. Wrongful death lawsuits are commonly brought on behalf of the estate of a person whose death was caused by a fatal accident such as a car accident, motorcycle accident, or commercial vehicle accident. Wrongful death cases can also be brought in the wake of other forms of negligence, such as medical malpractice or product failure. Personal Injury Lawyer Jonathan S. Comitz and his team of legal experts are experienced in litigating all types of wrongful death cases and familiar with the opening and handling of estates. Many law firms that handle wrongful death lawsuits require the assistance of an outside attorney to represent the estate of the deceased individual. At Comitz Law Firm, LLC, we are able to do all of this in-house, which saves our clients both money and time, giving them the peace of mind to move forward with their lives. 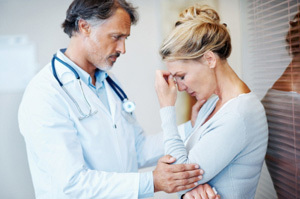 If you have suffered the loss of a loved one due to the carelessness of another person or entity, as a family member or representative of an estate, you may be entitled to compensation for: medical bills, pain and suffering prior to death, funeral expenses, loss of income, loss of benefits, loss of services, and more. At Comitz Law Firm, LLC, we recognize that a wrongful death claim may be the only means of ensuring a surviving dependent’s financial security in the wake of a catastrophic loss. We are fully committed to advocating on behalf of survivors of wrongful death cases, and devote special resources and care to cases of this kind. Contact our Personal Injury attorney today for a free consultation and a thorough, compassionate review of your wrongful death claim. $300,000 settlement for husband whose wife was killed in a car accident. $200,000 settlement for family of the victim killed in a motorcycle accident. 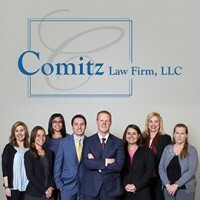 Copyright © 2010-2017 Comitz Law Firm, LLC. All rights reserved.